Most people have heard about the New York Jets. Bennett Kireker has followed the franchise since the American Football League’s rival league started back in 1960. In 1968, the Jets had their greatest success of all, when Joe Namath won the Super Bowl, beating the NFL’s Baltimore Colts, just as he had promised. Since then, the Jets have continued to have some fantastic players, including Don Maynard, Namath, Art Monk, Joe Klecko, Wayne Chrebet, Greg Buttle, Brett Favre, Boomer Asiason, Aaron Glenn, Mark Gastineau, James Hasty, Bruce Harper, Keyshawn Johnson, Johnny Hector, Marty Lyons, Mo Lewis, Land Mehl, Curtis Martin, Rob Moore, Freeman McNeil, Ken O’Brien, Richard Todd, Pat Ryan, Chad Pennington, Vinny Testaverde, Abdul Salaam, Wesley Walker, Al Toon, Ty Law, and Laveranues Coles. Everybody knows all of these things, fans and foes alike. But according to Bennett Kireker, there are also five things you probably did not know. One of the earliest famous people within the New York Jets, and certainly one of their all time most famous players, was Joe Namath, the quarterback. He was drafted to the team in the 1965 AFL Draft, coming from the University of Alabama. Had he not made the decision to play in the AFL, he probably would have ended up as the St. Louis Cardinals’ quarterback instead, because they drafted him as part of the NFL Draft that same year. 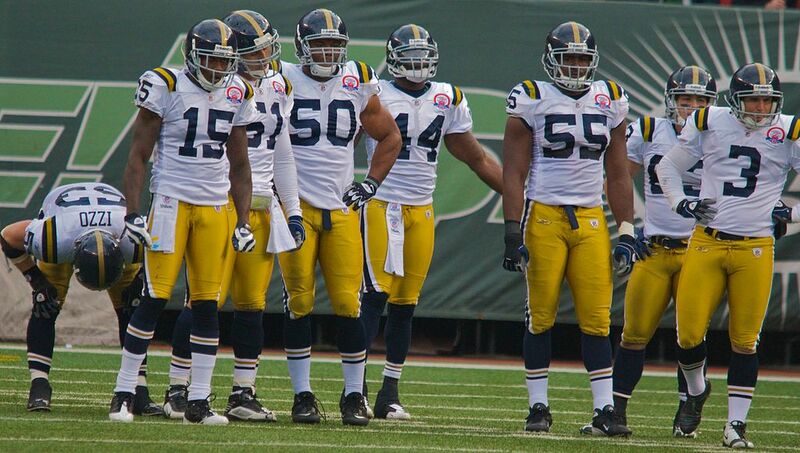 When the original New York Jets franchise started their play, they were called the New York Titans. Although their name was different, they did share the blue and gold team colors. During the 1998 NFL playoffs, Keyshawn Johnson, the Jets’ wide receiver, took on positions of defensive back, seeing action there and picking up an interception for them. In December 2005, the New York Jets faced the Patriots. In that time, the team’s quarterback was Vinny Testaverde. He faced Doug Flutie, who was the veteran quarterback for the New England team. Never before in the history of the NFL had there been a regular season match in which two opposing quarterbacks were both over the age of 40. In 1975, John Riggins was the first player of the New York Jets to gain in excess of 1,000 yards running. He was the team’s running back. Since day one, the New York Jets have had a solid and loyal fan base. In fact, they are known to be the most loyal in all of the National Football League. Over the years, the Jets have had some fantastic successes, but they have equally experienced some significant lows. Indeed, the team has not always finished anywhere near the top of the league. Yet, the Jets are synonymous with various memorable seasons, games, and moments. Every year, there is some sort of positive story about the Jets in the league, and this is something they, and their fans, take great pride in.